Together with PeopleSoft 9.2, Oracle announced the new Continuous Delivery model for delivering patches, based on PeopleSoft Update Manager. The new model allows customers to choose which fixes or enhancements they are interested in, and then just extract the objects related to them and their prerequisites. Download the latest Update Image from My Oracle Support. The latest images have a size of around 35 Gb for PeopleSoft HCM and for FSCM. Run a script to unzip the downloaded files and combine them into a single virtual appliance file (.ova). Import the .ova file into Virtual Box in order to create the virtual machine. Start the virtual machine and follow the installation steps so it can be used. 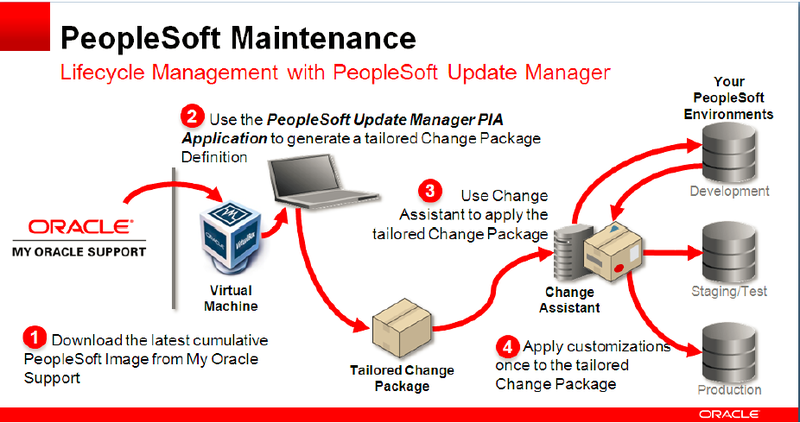 Using PeopleSoft Change Assistant, upload your environment information into PeopleSoft Update Manager. Connect to the virtual machine environment in order to choose which patches or enhancements are going to be applied. The selected patches conform an Change Package. Run the source steps in the Change Package against the Update Image. Run the target steps included in the Change Package against the target environment. Many customers find that the first 4 steps in the process take too much time, particularly when the intention is to apply a single regulatory update or enhancement. In the past, the customer would just download the patch and its prerequisites (which in many cases, for regulatory patches, were already applied) and starts the updating process. The new process requires to invest at least a day in downloading, uncompressing and installing the virtual machine. On top of the time issues, the virtual machine can only run in a physical box with certain prerequisites. 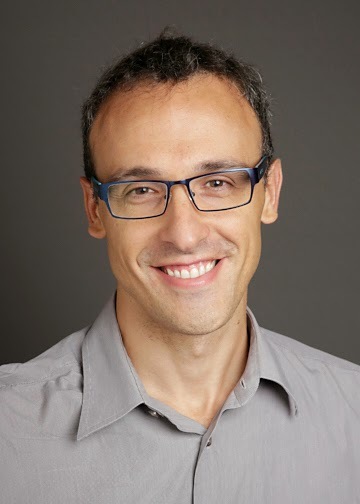 In these times when many organizations have moved to virtualization, it is not always easy to allocate the needed hardware to host the virtual machines. BNB has conducted a successful Proof of Concept for one of our customers to install the latest Update Image on an Amazon EC2 server and use it to apply the latest patches. Upload target environment information from your server into the Update Image. Download the Oracle Database and PeopleTools clients. Download the Change Package once the source steps are finished. We also faced some challenges in converting the Virtual Box delivered virtual machine into an Amazon EC2 hosted machine. We could eventually solve them and now we have created an AMI to quickly deploy new instances for other PeopleSoft customers. We have also tested the conversion steps multiple times, so we should now be able to have the AMI available just one day after the Update Image is made available by Oracle. Note: Since the introduction of PeopleSoft 8.55 and DPK, it has become considerably easier to deploy Update Images in cloud infrastructure. Please check this blog post for more information on this. I am more interested in learning this step of upgrade through PUM on pt 8.54 and FSCM 9.2. Could you help me in elaborating this task. The approach is practically the same in the sense that both the Upgrade Image and the Update Image are relatively similar virtual machines. However, an application upgrade is a longer process, so I'm not sure the business case for having it readily available in a cloud infrastructure such as Amazon EC2 really makes sense. From my point of view, it may still be an option, but I would probably install it in a physical server in-house. The only exception is if you plan to host the all the PeopleSoft environments in a cloud infrastructure. I'm not fully sure this resolves your doubt. Regarding the full process of upgrading, it's difficult to cover in a blog. There's valuable information in Oracle Support, but I would personally recommend that you hire an upgrade consultant with previous experience. Let me know if we can help you with this. How were you able to import an OVA file to AWS? You can import VMDK files to AWS, but the problem is that a PUM image is being split up into numerous VMDK files (as disks). And importing one VMDK file automatically creates an EC2 instance. You can upload all the correspondig vmkd separately and then attach them to the corresponding instance. The instance will start normally and you can check the system log to see if there were any errors during the boot up. If the customer has Oracle VM Server the Virtual Machine can be a Virtual Machine. As always a well explained post. Reading this , brought me to one of the silly doubts that I have. Let say , while upgrading the tools I need to run a dms , say appmsgpurgeall.dms using the data mover. And somehow it goes to a freeze state(not responding) , so if I run the queries involved in that dms via SQL developer from backend, will it have the same effect? Yes, in the particular case of this script, you can run it directly in the database client. In past upgrades, I have experienced the same symptoms you describe with this Data Mover script, but it is normally due to the time it takes to complete. This script is purging the Integration Broker tables, which in some installations may contain a significant number of records. In some cases, even running it through the DB client takes very long. Alternatively, you can modify the script to use TRUNCATE statements instead of DELETE, which are significantly faster as they are designed to fully delete a table contents. Yeah Javier already trying that. First of all thank you so much for your attention to this matter. First I tried delete option which was taking ages to execute. For this specific table when I do..
*Cause: Resource interested is busy. This error is normally due to someone else accessing the table. Typically, the error may take place because the previous deletes (either Data Mover or DB client) are still running. Even if you close the session, the transaction needs to rollback internally in the database, and this may take some time. You may want to check with your DBA if the session can be killed in some other way. Thought of letting you know that , I was able to complete the step after waiting for some time.Thanks to your prompt help and cooperation. I could successfully complete the Change Assistant steps as well. Could you provide your input on pros and cons of having users have PUM on their desktops that want their own copy of the vanilla PeopleSoft database "DEMO" to explore in. 1) cost: if you already have a powerful enough workstation, you can install the Update Image without any additional investment. 2) offline availability: having the Update Image in your notebook allows you to use it when offline (ie: while taking flight). 1) if someone creates the image for you (like we do at BNB), deploying a new instance is a matter of a few minutes, as opposed to downloading and installing the Update Image in your workstation, which may take easily a few hours. 2) you may assign as much horsepower as you need in the cloud. For instance, you don't need the same power for a trial environment than for an environment used for Demo purposes. With cloud environments, you can assign as much processing power and memory as you need.